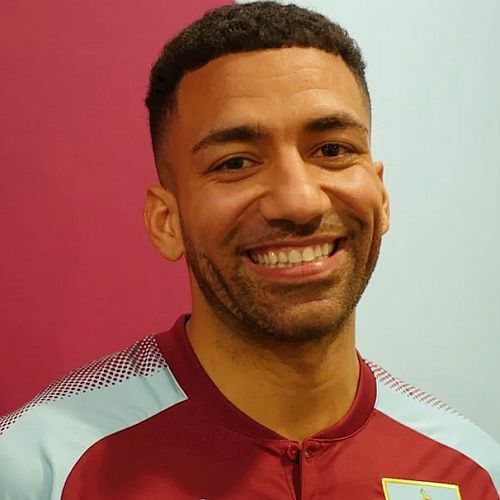 Aaron Lennon, with his first Burnley goal, and Jόhann Berg Guðmundsson, in his first game since returning from the World Cup, were the players on the mark for the Clarets last night in a 2-0 pre-season friendly victory at Macclesfield. It’s only my second visit to Moss Rose. I was there in 1998, stood on the open terrace in torrential rain as we fell to a 2-1 league defeat and as we travelled on the M60 yesterday that all too familiar rain returned. For a time it was every bit as bad as it had been on that previous visit but, thankfully, by the time we got to the ground it had disappeared and we were able to stand on said terrace without any problems. This was our first away trip of the season and so our first pub visit ahead of a game. Our choice, in Bollington, around four miles from the ground, initially looked as if it might be a disaster but everything sorted itself out and it proved to be a good choice with enjoyable food and a fine selection of beers from the local brewery to choose from. Those who went to watch the game at Curzon got Robbie Brady but at Macclesfield we were led out by club captain Tom Heaton. He played some under-23 games last season, and has been involved in pre-season and it was good to see him back although he’d lost what was our regular back four last season; they were all involved in the other game. We dominated for much of the game and Heaton, in front of the Burnley fans who opted to stand behind the goal during the first half, had a couple of saves to make, one down to his left and a really good save to his right. Other than that we dominated much of the play and probably should have been further in front than 1-0 by half time. There was much to be admired about the performance and in terms of individual players, none more so than Guðmundsson and Ashley Westwood, but it probably shouldn’t have taken us until the 36th minute to go in front. We had chances. Guðmundsson fired one effort just wide after cutting in from the right but Chris Wood will wonder how he came off without having opened his account. He headed one effort over the bar and then somehow contrived to push a shot against the post after he’d been set up by Phil Bardsley after some good work down the right between the full back and Jeff Hendrick. It was Lennon (pictured) who finally broke that deadlock. He got onto a wayward ball from a Macc defender, moved forward and hit his shot over the home goalkeeper to give us a lead we never looked as though we might relinquish. It didn’t take long for us to double that lead in the second half. With just three minutes gone we won a free kick when Jack Cork was fouled not too far outside the box. Guðmundsson expertly placed his shot into the far corner leaving the goalkeeper stranded. Almost immediately we were close to making it three through Westwood but Macclesfield did then get more into the game for a period before Burnley finished the stronger of the two. It’s a pre-season friendly so we shouldn’t get too excited about winning, just as we shouldn’t be too concerned when we lose in pre-season. We’ve three more to play before the Premier League kicks off but our competitive season is now just five days away so Preston next Monday will be the last pre-season game before that game in Scotland. So, some enjoyable food and drink, and a 2-0 win for the Clarets. Could we add to that? Yes, is the answer. As a proud Lancastrian I don’t think it could have been better than having a Yorkshireman driving us home as news came through that the Red Rose had won the t20 roses clash at Old Trafford, and with Bumble in the commentary box. 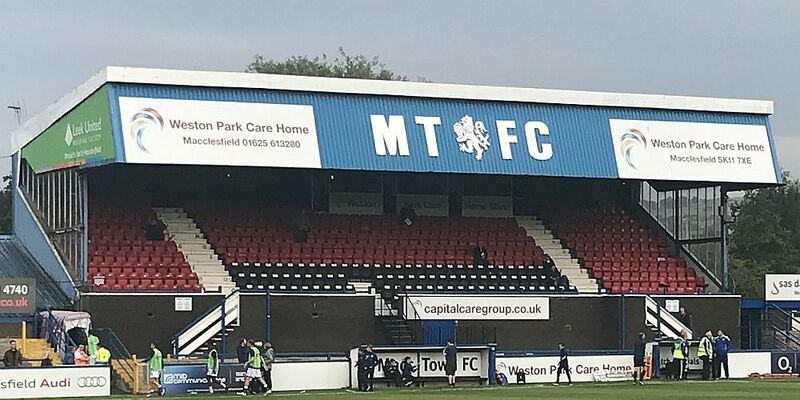 Macclesfield: Rhys Taylor, Jared Hodgkiss, David Fitzpatrick, Fiacre Keheller, Jamie Grimes, Scott Wilson, Harry Smith, Koby Arthur, Callum Evans, Danny Whitaker, Michael Rose. Subs: Louis Gray, Keith Lowe, Miles Welch-Hayes, James Pearson, Nathan Blissett, James McKeown. Burnley: Tom Heaton, Phil Bardsley, Kevin Long, Jimmy Dunne, Charlie Taylor, Jόhann Berg Guðmundsson (Ali Koiki 60), Ashley Westwood, Jack Cork, Aaron Lennon, Jeff Hendrick, Chris Wood. Subs not used: Adam Legzdins, James Clarke, Josh Benson, Rob Harker. Attendance: 823 (including 170 Clarets).